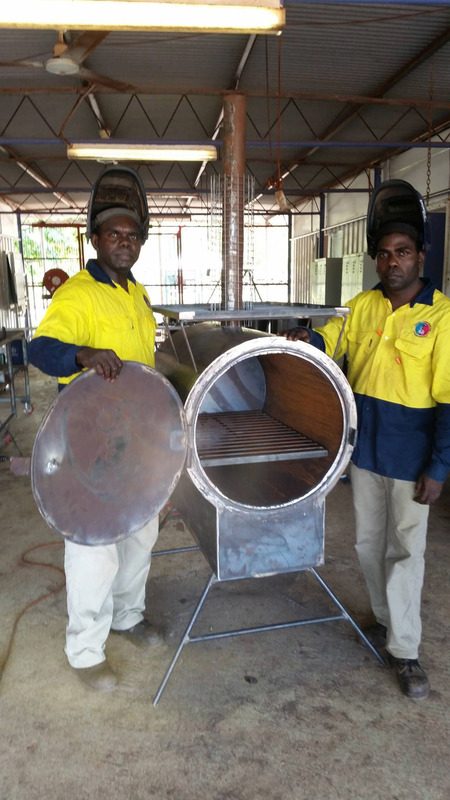 Appropriate technology products for remote Aboriginal communities. Metal fabrication and construction projects secured through preferred supplier or competitive tenders. Designer metal furniture and other products targeting national markets. You get great service and you support jobs for Aboriginal people! CfAT Ltd Enterprise staff installing ablution block, with pit toilet and CfAT chip heater. Recycled car bonnet benches assembled and installed, Todd Mall Alice Springs. CfAT Ltd wicking beds. Arid zone designed.